MATTITUCK, L.I. When Choudry Ali puts goat cheese, cucumber, olive oil and red wine on his grocery list, he's not preparing for a cocktail party. 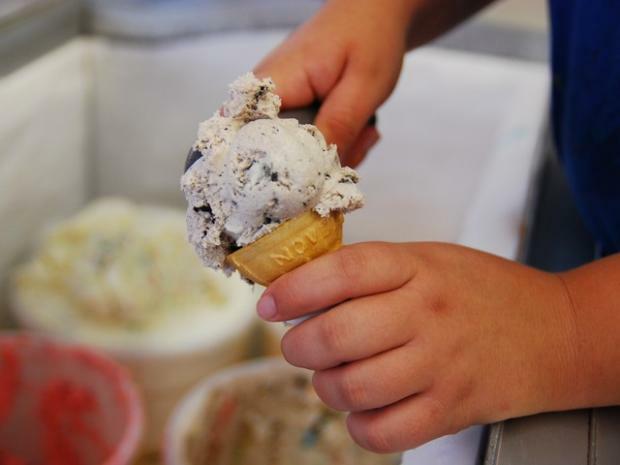 Instead, he's going shopping for ingredients for his one-of-a-kind ice cream flavors that he serves to many Manhattanites who flee the city each summer for the beaches of Long Island's North Fork. 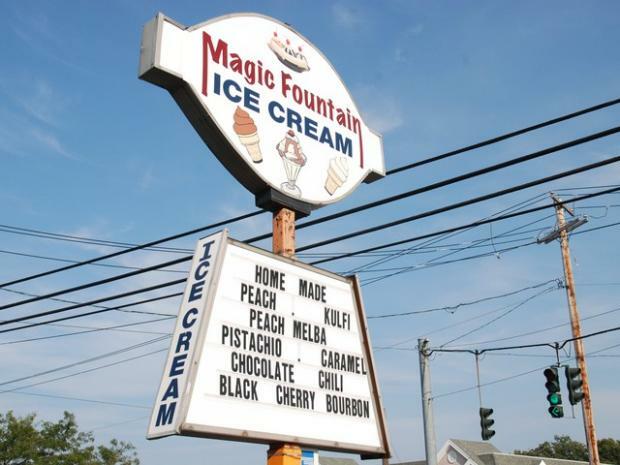 Magic Fountain, a shop selling homemade ice cream in Mattituck, is a favorite spot for New York City refugees and locals alike. 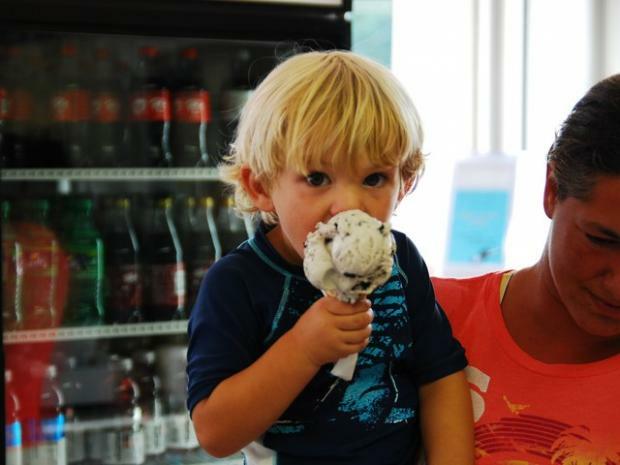 "Its absolutely wonderful ice cream," said Nancy Daly, who lives in Midtown. "Its homemade and you can really tell." 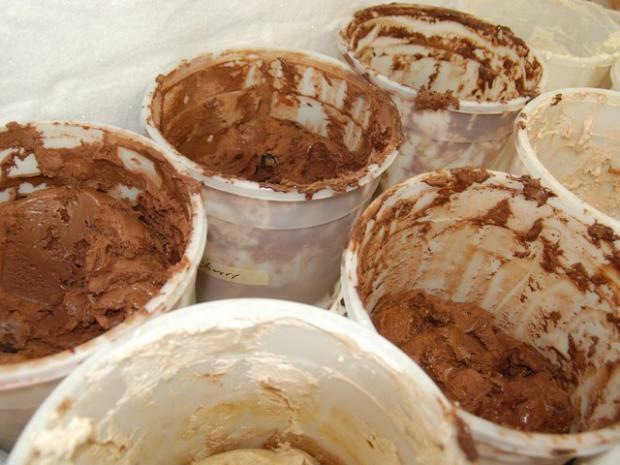 "Vanilla, chocolate and mint chip became boring, frankly," Ali said. "So I decided to get creative." Ali's first flavor experiment was key lime pie, which was tame in comparison to the creative concoctions he later came up with. Some of his more unconventional flavors have included chocolate cherry bourbon, coconut avocado, licorice - and Guinness. "This year I went all out with flavors like goat cheese, olive oil, peach melba, and Guinness," Ali said. 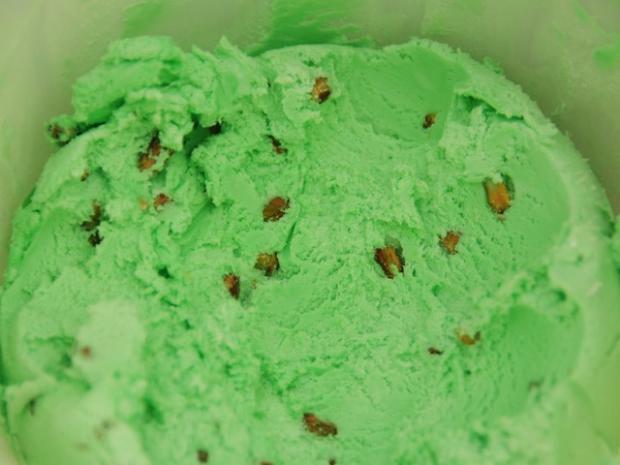 "All the kids wanted green vanilla for St. Patrick's Day this year, but everyone does that. So when I was in the supermarket I saw a can of Guinness and that's where I got the idea for the flavor." 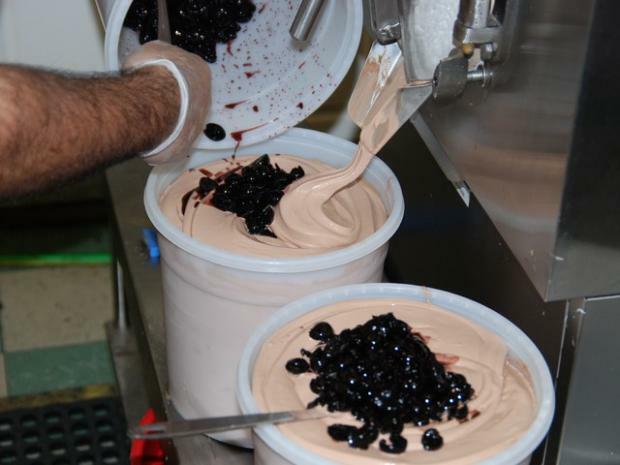 Ali draws inspiration for his ice cream from every aspect of his life, from walking down the aisles in the grocery store to his childhood growing up on a farm in Pakistan, from where he emmigrated in 1985. His heritage inspired Kulfi, an original flavor made with rose water, pistachios and cardamom. 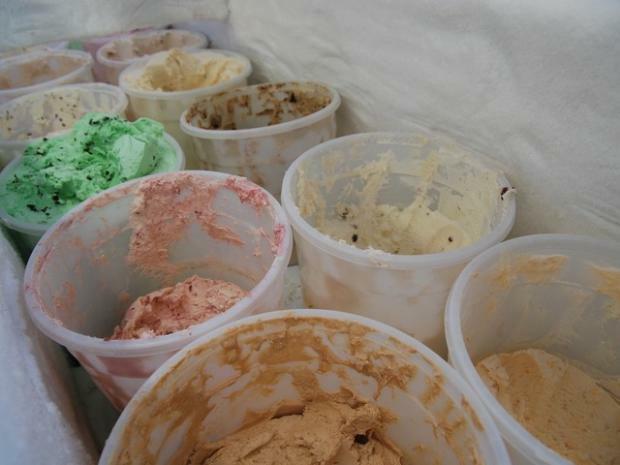 A late night preparing a large order of ice cream for delivery inspired Ali to create a whole new genre of flavors. "A huge order for peach ice cream came in one night and I was here late, so I had a few glasses of wine while making it," Ali recounted with a chuckle. "I was tasting the peach batch I was making and had the taste of wine in my mouth already and it just came to me--why not combine the two flavors for ice cream?" From that night came peach white wine, pineapple white wine, plum red wine, strawberry red wine, and black cherry red wine as new additions to the Magic Fountain flavor menu. It's this culinary creativity that keep Ali's customers coming back time and again, particularly those from New York City. "There's nothing like this in the city," said Daly. 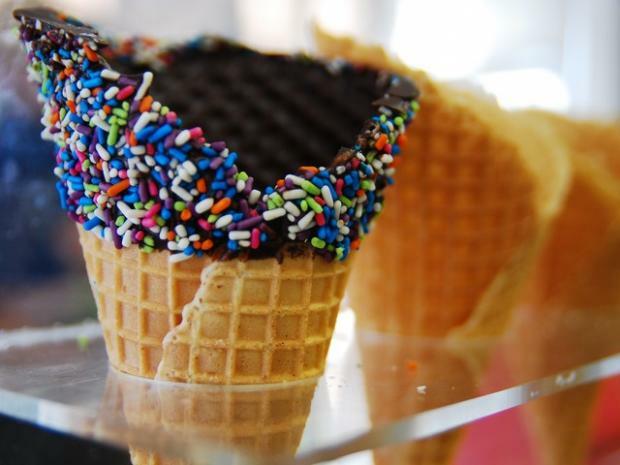 "The city just has Mr. Softee and your other usual uninventive ice cream. l stop in here every couple of weeks because they have so many flavors and it's really quite special." Magic Fountain's regulars from Manhattan constantly ask Ali to open a store in the city so they can enjoy his frozen creations more often. "The goal is to have a store in the city in two years because, honestly, that's where most of my clientele are from," Ali said. In the meantime, he has big plans for more exciting experimentation. His next creation? Roasted garlic and sweetcorn.